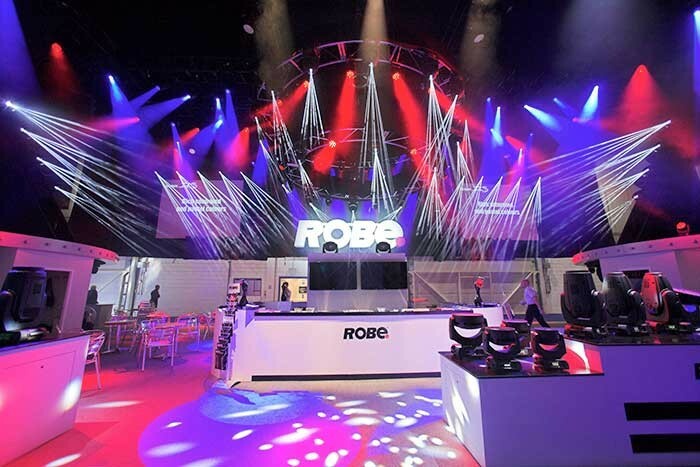 Robe lighting enjoyed a super busy 2013 PLASA exhibition at its new location of ExCeL London, where they showcased nine exciting new products and won their third PLASA Innovation Award. Robe’s CEO Josef Valchar comments: "We are really happy. There was a constant stream of people to the booth, interest in all the latest products and of course, we are delighted to win another Innovation Award, which is a great recognition of all the hard work and foresight of our product design and R ‘n’ D teams." The Robe stand was the largest of the exhibition in surface area and occupied a prominent position at the back of the hall. It was designed by Nathan Wan and also featured an eye-catching light-show - also designed and programmed by Wan, utilising all the new and latest products to a special soundtrack. This ran every half an hour, and attracted even more people to the booth to watch the products in action. 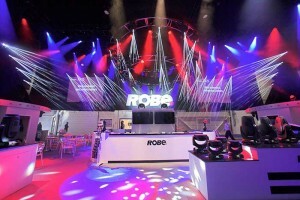 Robe started the Lightshow centrepiece at Prolight+Sound, Frankfurt this year … and it’s a trend that looks set to continue. Robe’s International sales director Harry von den Stemmen states: "Having an open single level booth with a central reception / bar was excellent. It made great use of the space which was accessible to everyone and we have certainly experienced some good business and enjoyed working in ExCeL"
Robe’s new products included all those launched at Prolight in April – The Pointe, MiniMe, CycFx 8, Cyclone and MMX Blade – which attracted lots of attention. These introduce some brand new concepts and also feature some classic Robe ingenuity - all embracing Robe’s smaller-lighter-brighter and more eco-friendly philosophies. Newly launched at PLASA this year was the Parfect 100, a static version of the massively successful, handbag-sized and very bright LEDBeam 100. 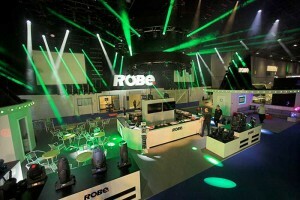 All of Robe’s popular ROBIN Series products were prominent on the stand, including the LEDWash, MMX and DL ranges, however it was the Pointe multi-purpose fixture that was again the star of the show! In five months The Pointe has become Robe’s fastest selling product with over 10,000 orders received (before PLASA) and Robe has recently completed an expansion of their factory in the Czech Republic to increase the production capacity for Pointes. 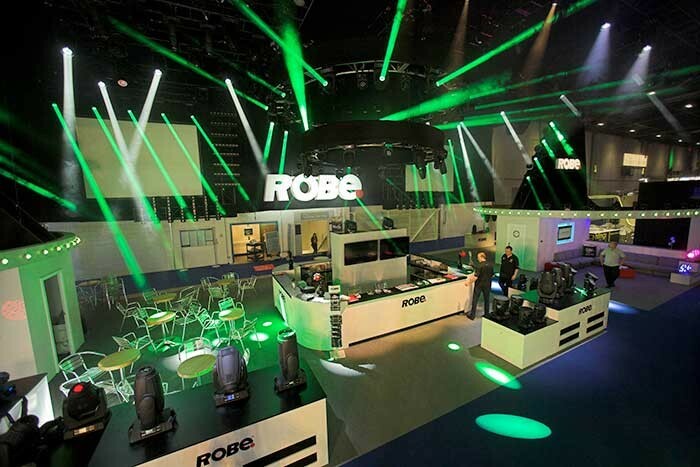 Winning a third Innovation Award helped make PLASA 2013 even more memorable for Robe. This year it was for the MiniMe – a unique new LED effects luminaire with full video output which is very different from anything else currently on the market. The Judges said: "It is the first to bring a new form factor to digital luminaries. It’s conservative in its use of (DMX) channels and is a digital moving light with the simplicity of a conventional automated fixture." Robe kept its traditional Sunday night party venue in central London at the Café de Paris. This year there was an Austin Powers theme – in keeping with the Mini-Me character from the second and third Austin Powers movies. The party was another great success and guests enjoyed excellent live entertainment, trying to figure out who-was-who in their Austin Powers wigs and glasses … and a superlative networking opportunity.